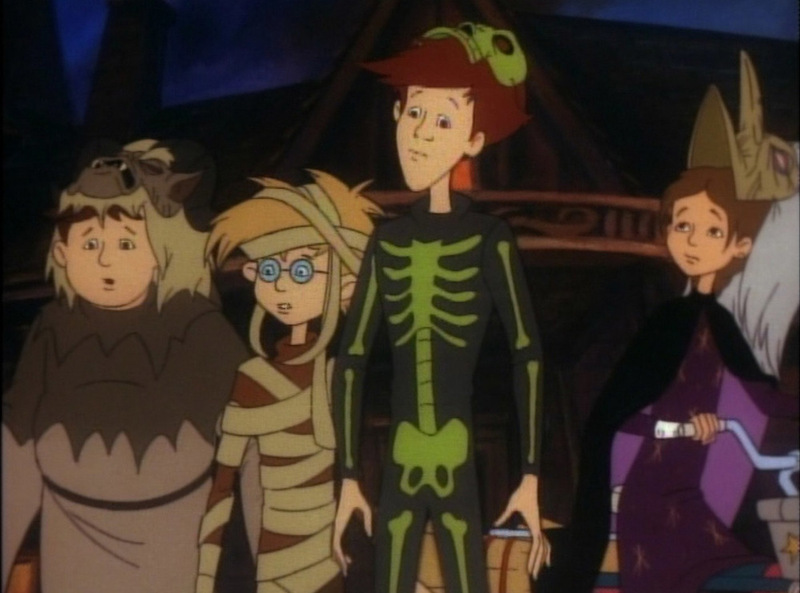 On Saturday, I had my annual viewing of Ray Bradbury’s “The Halloween Tree”. Among other things, my childhood experience with this film was largely responsible for igniting my lifelong yearning for crystal sugar candy skulls, a desire that was finally satisfied upon my trip to Mexico in 2010 for the Day of the Dead. It might have been partially due to the dehydration I suffered from being stranded on a volcano for the previous 24 hours, but I couldn’t even finish my first skull in one sitting. This is coming from a guy with an avowed taste for the sweet stuff. Those things are serious. But that’s probably a different story. On this occasion, I decided to share this fine film with a friend for the first time since 2007, when my attempts to enlighten a comrade to this movie’s majesty were met with impatience and an early departure. I’m pleased to say that this night went far better, for Dave, this year's friend, displayed an appreciation for the piece that justified my hopes. 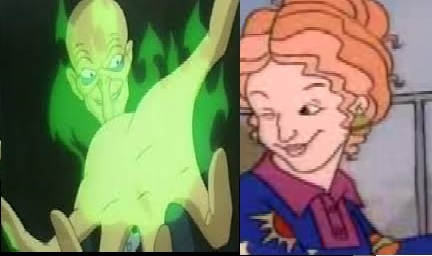 Anyway, this particular encounter made me realise that Moundshroud and Ms. Frizzle would make an amazing couple. At their cores, both have a strong love for teaching. Obviously, there are differences in motivation and approach. The Frizz has an indefatigable passion for knowledge and exploration in all of its forms, and she’s not shy about showing her fondness for anyone who’s willing to learn what she has to teach. In contrast, Carapace Clavicle Moundshroud is primarily driven by a singular sort of purpose. 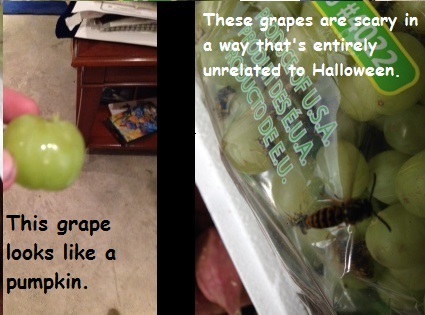 Halloween is his thing. Admittedly, he works as a psychopomp; that’s his occupation. He generally performs well in this role, but Halloween is his obsession. When the young night travellers first met him, he tried to brush them off in order to get back to his job, but his attentions quickly shifted to the group upon his realisation of their affection for his beloved holiday. At this moment, he was gripped with an implacable urge to turn the naive, incomplete flame they held for Halloween into a ravenous blaze that could rival the inferno in his own heart. He took it upon himself to educate these children in the meanings behind this tradition’s myriad forms, and it was this impromptu field trip that enabled his sour facade to slip. Behind his initially uncongenial demeanour was a sense of compassion for his pupils that matched any Ms. Frizzle ever felt. This whole revelation also brought about a lesser epiphany. The mummy of this film was named Ralph, but I’ve always had a tendency to subconsciously attach his name to his larger friend. Tonight I finally understood that this was due to the fact that the latter filled the archetype that was performed by a boy named Ralph in “The Magic School Bus”. On the other hand, the film’s Ralph bears a certain physical resemblance to Arnold. Incidentally, both cartoons have incredible soundtracks. I'm just going to assume that every human being in the entire world is intimately familiar with Little Richard's timeless work on the "Magic School Bus" theme, for anyone who isn't has missed a key part of what it means to be human. John Debney's score for this film is equally enduring, though any who have not had the pleasure of hearing it should know that their error is an understandable and venial one. In any case, this seems like the time and place to rectify it. Man, did you see the backgrounds in that video? Beautiful. Those are some beautiful backgrounds. Maybe you should watch it again. Just check out all the backgrounds right there. Man, those backgrounds. Best Halloween movie of all time? Yes.